This year, closed to BVJ OPERA-MONTMARTRE Hostel in PARIS, l’été du Canal celebrates its 10th anniversary and offers you music & concerts in Paris from July 8 to August 27, 2017 along the Canal de l’Ourcq and along the Seine river banks. An event you should not miss! Sunbathing, dance and friendly moments enthusiasts, you are all expected on this new edition of L’été du Canal so your summer will be even more enjoyable. 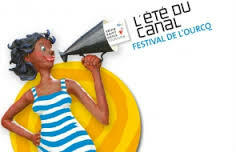 This year, L’été du Canal takes over the Canal de l’Ourcq from July 8 to august 27, 2017. For about six weeks, the event offers several animations: balls, shows, beaches, dances, workshops, aquatic activities as well as concerts and music… on water or along the banks! board a festive cruise to discover how charming the Canal de l’Ourcq is. Electro, hip-hop and so much more… On the menu: animations more appealing than the other, drinks, themed evenings and concerts. 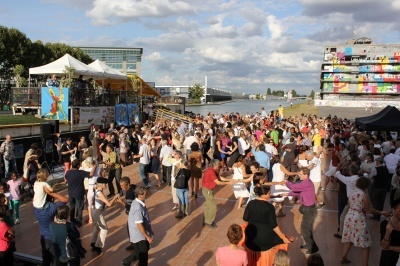 But it is not all since the Canal de l’Ourcq also features banks offering countless events. So, do not miss free concerts held on this summer’s every weekend from 1 p.m. to 12 a.m., according to the programming, at the Port de Loisirs in Bobigny. On the menu: electro, jazz, soul, afrobeat music… Stands, food trucks and refreshment stalls (BBQ, street food, local brewery…) will be available to all. Finally, do not miss free concerts with stages at La Villette, in Paris 18th arrondissement gardens, in Pantin, Aulnay-sous-Bois, at LaPlage de Glazart, at La Halle Papin, La Station, etc.